Anyone know if a B body inland shifter will fit on an A body non console car? My 68 Formula S clone needs correct type shifter to look right.Just bought an Inland shifter at a swap meet,and vendor thinks that it is from a B body. To me it looks like all the ones I have seen in 68 Barracudas at car shows and the 68 sales brochure. Just want to unbolt the 3 bolts and use the chrome lever.I do not know if the angles on the shifter will interfere with anything. Any info would be greatly appreciated. Here are some pics of how the shifter is supposed to look in a bench shifted car. Appreciate the pics Deputy. I forgot to mention that my car has Bucket seats. ](*,) That would make a difference. Is that your shifter, or just a pic you had? The only experience I have with a B-body Inland was in a '67 Hemi GTX. That was a non console Inland, and it was longer than an A-body Inland. Do you think the longer shifter would work? Do you know how much longer it is than the A body one? If I were to hazard a guess, I'd say no it won't work. I do know that all the linkage won't work, and the shifter handle was longer, as well as bent at an angle back to the driver, that the A-body shifter doesn't have. Trade it to a B-body guy for what you need. It's a pic I found when I was looking for a shifter. I think this shifter is currently still for sale on ebay for 150 dollar. My shifter is a few posts back called home made inland hurst shifter. Oh, and the B-body shifter is way too long for an A-body. You will hit the dash when you shift. This is my 68 Formula S with the factory Inland. Please note&#8230;&#8230;.. The Inland is only correct for early 68s. A few months into the 68 production run they were changed to Hurst. So are there any similarities between the A body Inland and the B body Inland? Is the A body bucket seat no console shifter the same as the bench shifter? I know the console one would be offset, and my assumption is the bench shifter would not be offset. 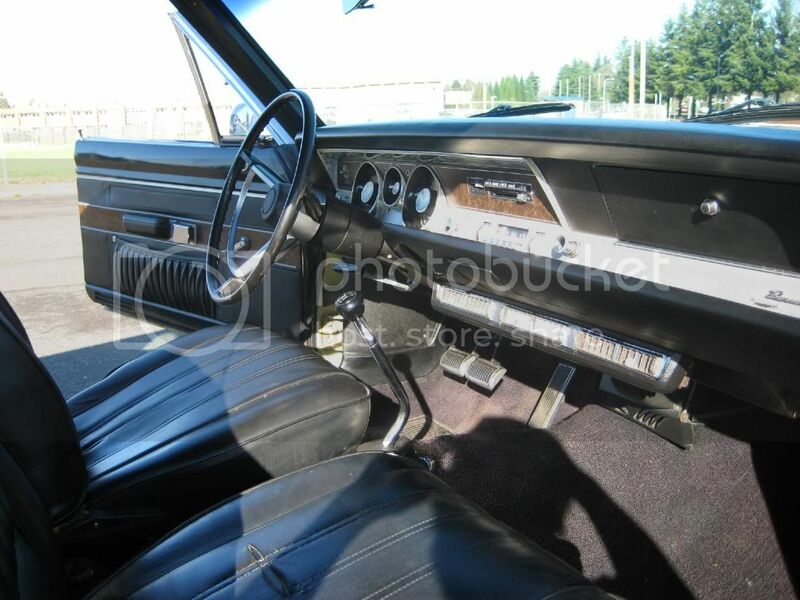 I have a 67 Barracuda with a bench seat that originally had an Inland, and I cannot locate a part number, and no one seems to know if the bench and bucket no console were the same. Just looking at mine&#8230;&#8230; I wouldn't think it would work very well with a bench seat. Does yours look like the shifters pictured in this thread? Its all I have to go on at this point. I would be interested in yours if it is correct. Here's a few pics of a Hurst with a bench, for what its worth. Mine is the one in post #9. I was referring to oldkimmer's shifter. I believe we were posting replies at the same time. Can anyone confirm how tall an A body Inland handle is? oldkimmer - is there a part number on the shifter and/or the handle? In the pic of your shifter, is it in gear, (what gear? ), or neutral? Where is the driver seat in relation to the shifter, behind it, next to it, or in between? If you pull your seat all the way up, does it contact the boot? I can't find a pic of a bench shifter installed, so any help is greatly appreciated. FYI: I am not trying to highjack this thread, and I am not sure if that is possible based on the age of it and it is not in the parts wanted section, so no disrespect intended. I actually searched FABO for Inland posts, and rediscovered this thread when I searched thru Google. Do you know what the number is on the Inland handle? 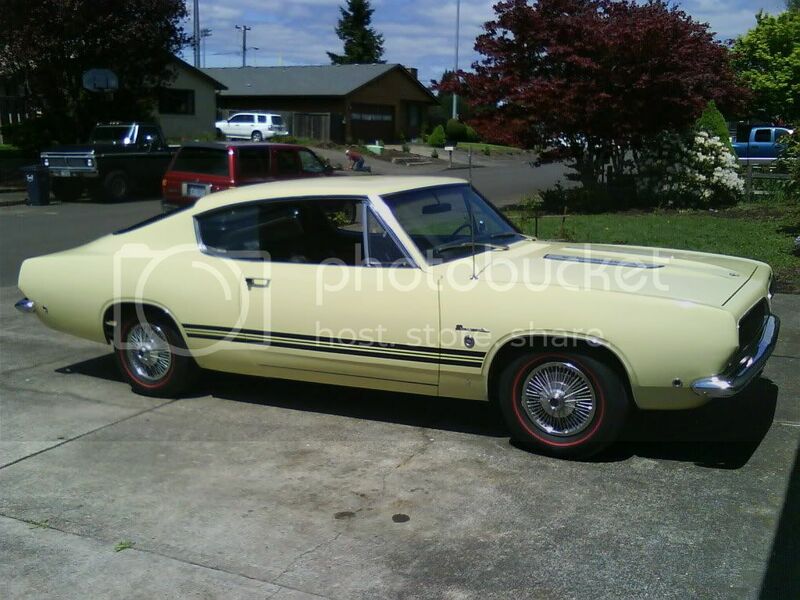 I have one that is 44532 out of a 66 Barracuda with no console. Where is the # located. I will go have a look. The number is located at the base of the handle where it bolts to the mechanism. Check out the crappy pic below.